I hate folding laundry. 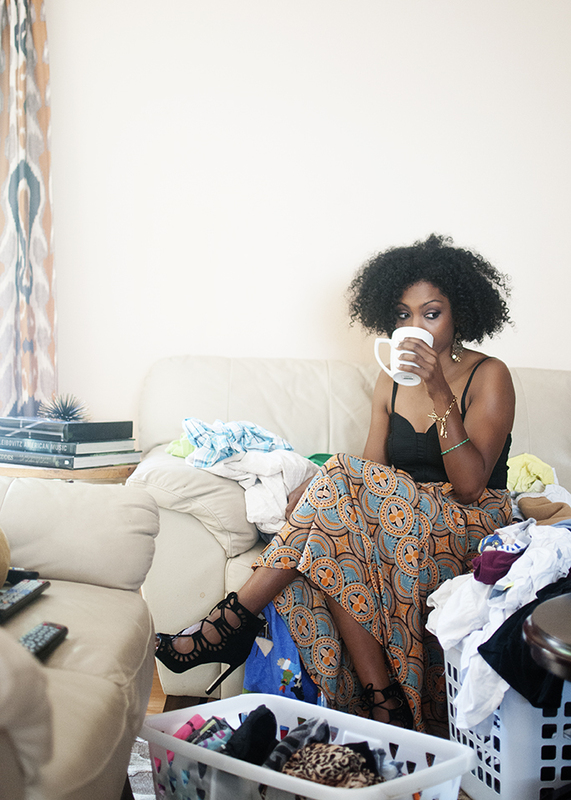 I thought I’d make the best of things and have some tea in a pretty dress while tossing the clothes around. You could try this. It makes you laugh at yourself and lightens the laundry load (pun intended). Also, this allows one to fantasize about the dream of having a full time housekeeper, because one is already dressed for that life. Lol, lol , I agree.